Not all data backups are created equal. Watch this video to learn about what differentiates Total Networks’ Total Protection plan. In the event of a server failure, the local backup appliance can act as a virtual server had have you back up on and running in minutes. Total Protection delivers the most aggressive Recovery Time Objective (RTO) of any backup, disaster recovery (BDR) and business continuity solution available today. It is the ideal solution for businesses for whom downtime is not an option. Total Protection offers the best protection for a business’s mission-critical applications, delivered via the most robust and flexible technology on the market today. Total Protection is the only BDR and Intelligent Business Continuity solution to offer instant local and off-site virtualization, Screenshot Backup Verification, and Backup Insights™ all from one simple management interface. Total Protection features improvements that make it easier to deploy, scale and manage than ever before. The new, powerful Backup Insights tool gives you a complete picture of how files and folders have changed over time, adding versioning to the robust file restore capabilities. 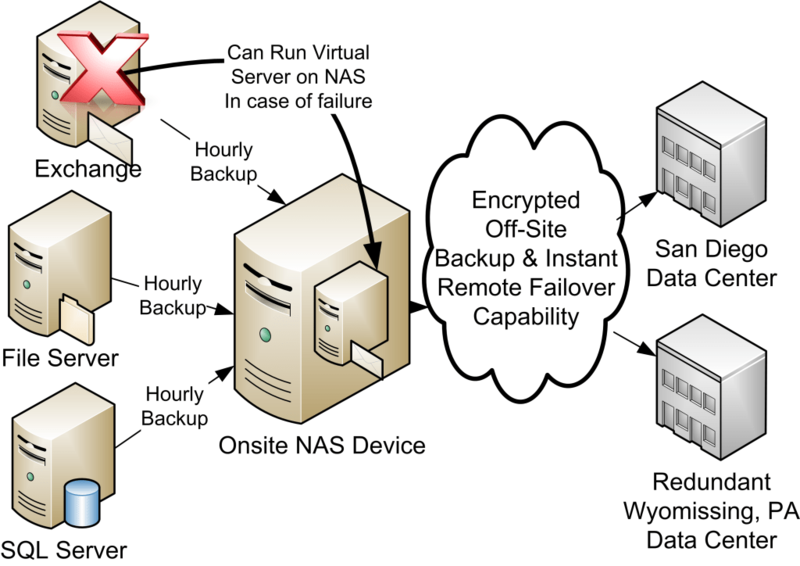 Full off-site file restores are now possible, too — in a true disaster, you can recover key documents even before the lightning-fast off-site virtualization process has begun, right from the management portal. For mission-critical applications of all sizes, Total Protection gives you the absolute best in business continuity. Total Protection NAS is a smart hybrid cloud storage solution with snapshotting. Total Protection NAS is no ordinary network-attached storage. As users share documents, it takes snapshots of their data so they can easily roll back to previous versions of anything being worked on. All data syncs to the secure cloud so it is always accessible, even in the event of a disaster. Total Protection NAS is perfect for professional businesses that need flexible storage for documents and media. Incremental snapshots can be taken as often as every five minutes, so you can go back to a previous version of a file or folder instantly. Total Networks Restored My File in Minutes and Made My Day! Shortly after investing hours on changes to a document, I discovered that my changes had been accidentally over-ridden by another individual in our office. When I called Total Networks for help, Debbie asked, “Do you want the file from 3:00 or 4:00?” She restored both versions, and restored exactly what I needed with all my edits, saving me hours of time recreating my work. I’m glad Total Networks has got our back!